This is your chance to secure a Swiss icon with a cheesy twist: During the entire month of January we’re giving away 10 unique Swiss cheese pocket knifes. For each $10 worth of products you spend online during January we’re giving you 1 entry into the draw of these knives. All you have to do is purchase your cheese with us and you’re automatically entered. 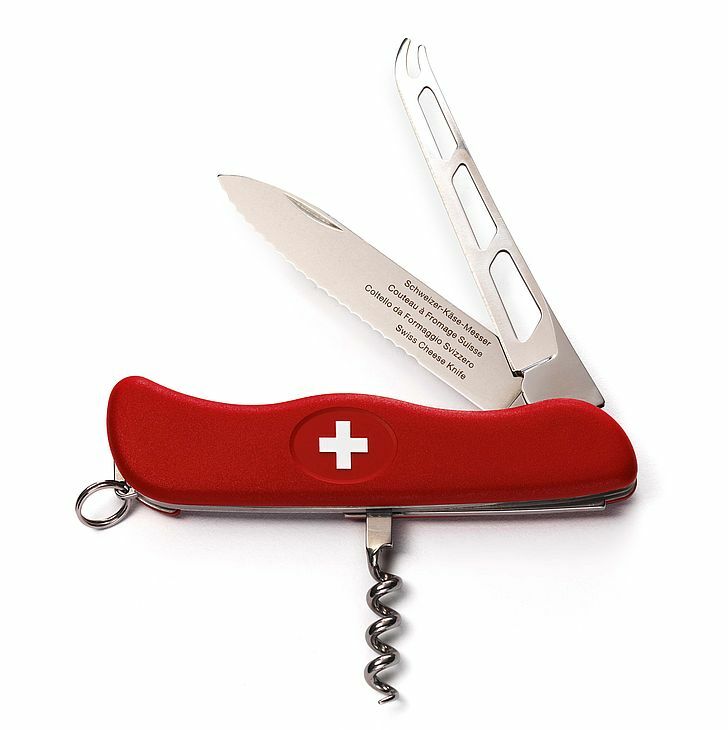 Terms & Conditions: For each $10 of goods spent in The Red Cow online shop (postage excluded, refunds and discounts excluded) the user will receive one entry into the draw to win 1 of 10 Swiss cheese pocket knives. Sales between 4th January and 31 January 2018 (AEST) will be counted. Only applicable to stocked items (backorder items are excluded). Accumulated entries over multiple purchases are possible based on the user’s email address. Winners will be informed via email by end of February 2018. Prizes will be sent to winner’s registered billing address of the first purchase during the promotion period.